No one said being vegan was easy. But truth be told, I went vegan years ago and it’s actually simplified my lifestyle in ways unimaginable. I haven’t looked back since, and I couldn’t be more happy with the way my body and soul feel. My reasons root deep in the simple belief that ‘you are what you eat.’ Granted, there is a bit of a learning curve: the reprogramming of false food perceptions from sneaky marketers and the shying away from subtle products derived from animals such as certain marshmallows, gummy candies, and then some. But then again, vegans are diverse. There are those who eat only plant-based foods and others who thrive on french fries and vegan ice creams. My eating habits fall somewhere in between the dietary spectrum. I believe in eating nutrient-dense whole foods, but also savoring a slice of vegan strawberry rhubarb pie when the occasion calls for it. I avoid animal derived substances as much as possible in my daily routine as well as any processed vegan meats or foods. Garden of Life is a brand you can trust. All Garden of Life products are clean and recognizable. The mykind Organics line is Certified USDA Organic, gluten-free, non-gmo, and free of synthetic binders and fillers. Certified vegan, this multivitamin includes real food from over 30 powdered organic fruits, vegetables, and herbs. One daily serving provides over 19 vitamins and minerals with high levels of B vitamins which is one of the most common vitamin deficiency in vegan diets. Garden of Life offers multivitamins for both men and women as well as in pill and gummy form so make sure to check out their other products to best serve your daily needs. DEVA Vegan Multivitamin is 100% animal-free and certified vegan by the Vegan Society. A complete vitamin and mineral supplement, DEVA’s multivitamin is free of any GMO’s, gluten, dairy, sugar, salt, starch, preservatives, yeast, and derivatives. This one-a-day vitamin includes herbs such as rose hips and chamomile to help promote vegan health. DEVA multivitamins are also coated with a smooth vegetable-based coating so you won’t have to worry about trouble swallowing. 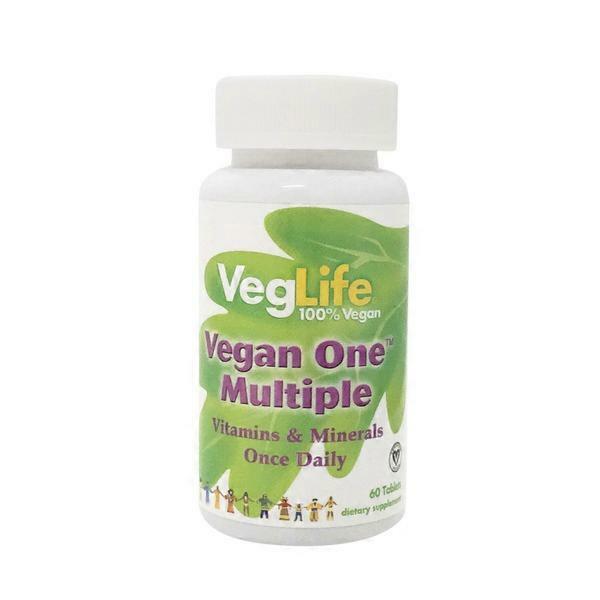 VegLife Vegan One Multi is taken once a day and can be purchased with or without iron. More than 21 essential vitamins and minerals are packed in one tablet serving. VeganLife Multivitamins are also free of wheat, corn, soy, legumes, peanuts, tree nuts, yeast, salt, sugar, artificial colors, flavors, and preservatives. Common vegan nutritional deficiencies include protein, iron, magnesium, selenium, calcium, vitamin D, zinc, and omega-3’s. Make sure to check with your doctor if a vegan multivitamin or supplement is right for you. If you’re pregnant or breastfeeding, consider taking specialty vegan prenatal multivitamins or supplements. There are also tasty vegan multivitamins for kids in gummy and spray-form.